It might be the feeling of nostalgia it brings or the understated elegance it adds to a space that makes rose gold a go-to color this year. With the rise in popularity of millennial pink and other soft hues, homeowners have been mixing and matching colors to spruce up their homes. Work on a vintage-inspired vignette. Cover your console table with pages from an old book. Place a copper-colored tray in the middle and surround it with pine cones or star cutouts. 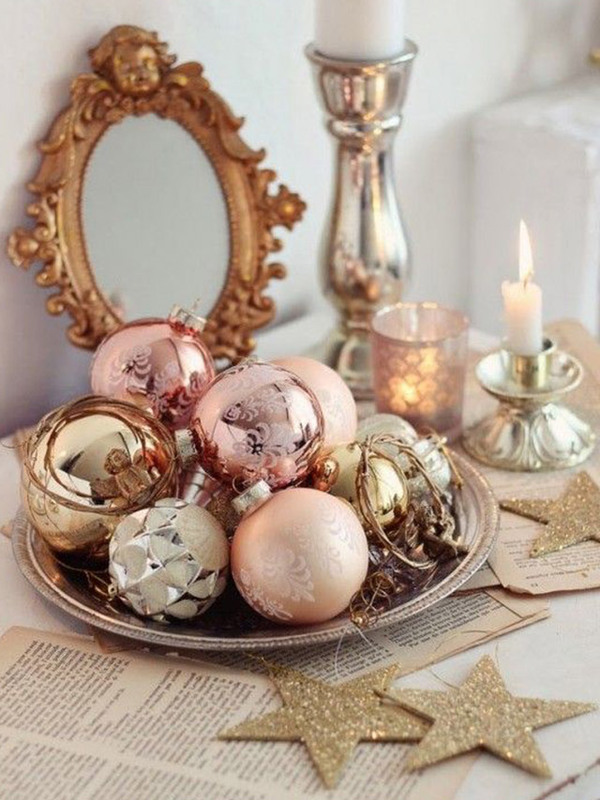 On the tray, arrange your rose gold ornaments—Christmas balls, spirals, and other knickknacks. Polish the look with scented candles and candelabras as part of your vignette. Consider doing this in your foyer or living area. 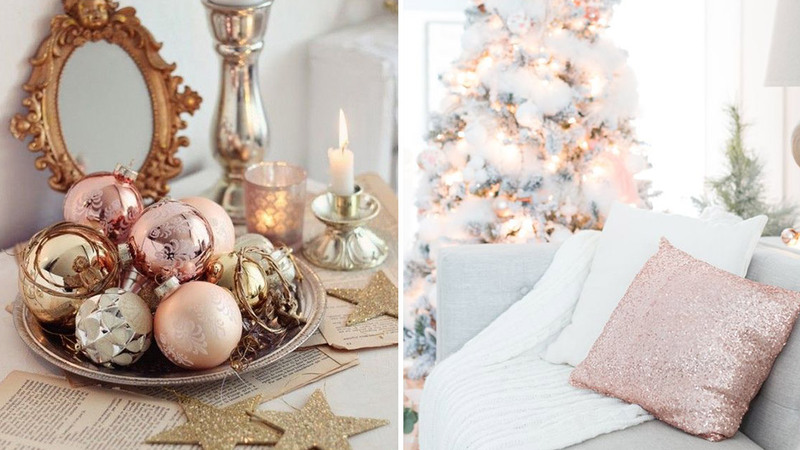 Find rose gold Christmas balls at SM Home. You can always turn to DIY. Giving away baked treats as gifts this year? Instead of using boxes and plastic containers, you can work with mason jars. 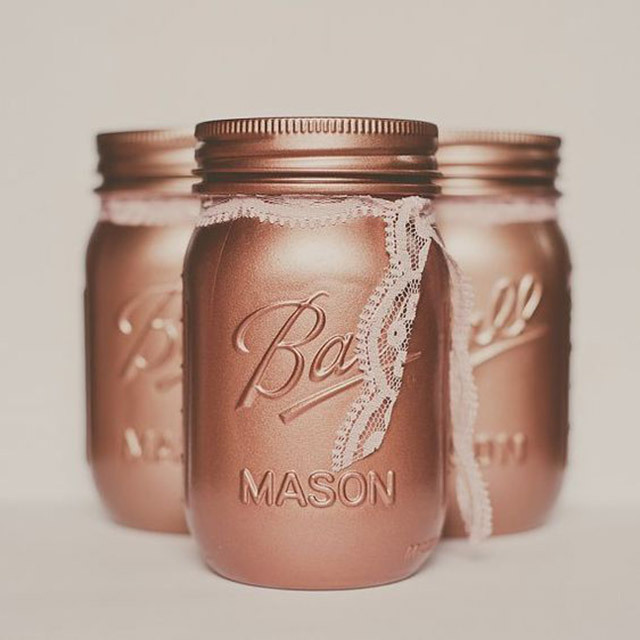 Spray paint it in rose gold for an extra chic appeal. Wrap a lace ribbon around each jar for an extra sweet touch. Find mason jars at The Landmark, Makati. Liven up your tree with punches of color. 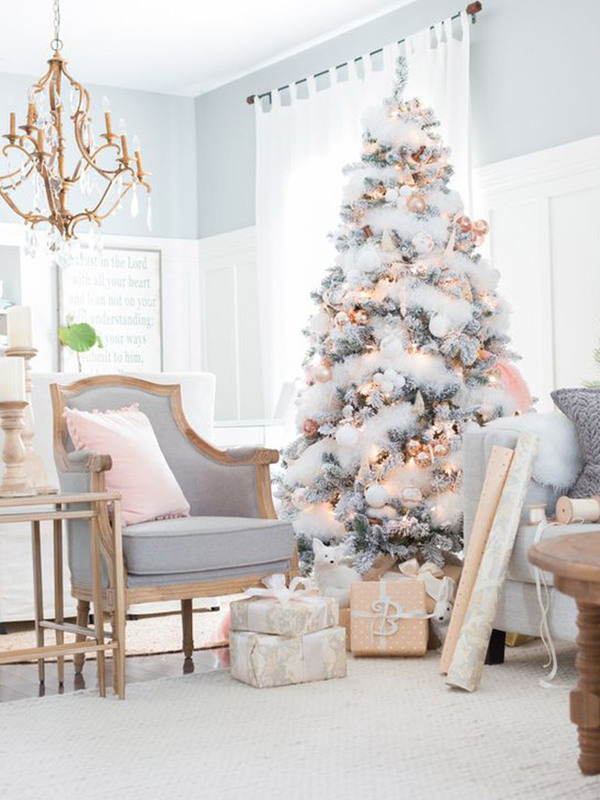 A snowy or white Christmas tree adorned with rose gold Christmas balls and ribbons will surely leave your guests in awe. Instead of decorating it with balls all over, you can use the photo above as your peg. Scatter the balls and arrange them in bunches. Grouping the balls together and using ribbons as extra décor can make your tree look sophisticated while avoiding an overdecorated look. 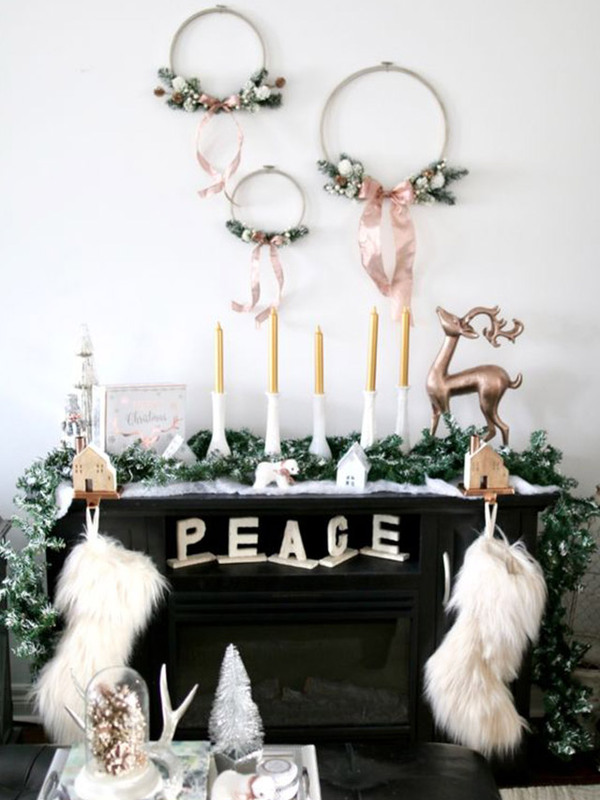 Use rose gold ornaments to decorate wreaths. Since rose gold is already striking as it is, you may want to use it in small doses. If you’re crafting your own wreath this year, you may want to work with round wooden pieces as base. Liven it up with mini balls, faux leaves, and sparkly rose gold ribbons as a finishing touch. Hang your finished projects on your front door or in the foyer. It will surely pair well with hints of gold and silver. Opt for rose gold soft furnishings. You can never go wrong with rose gold accent pieces. 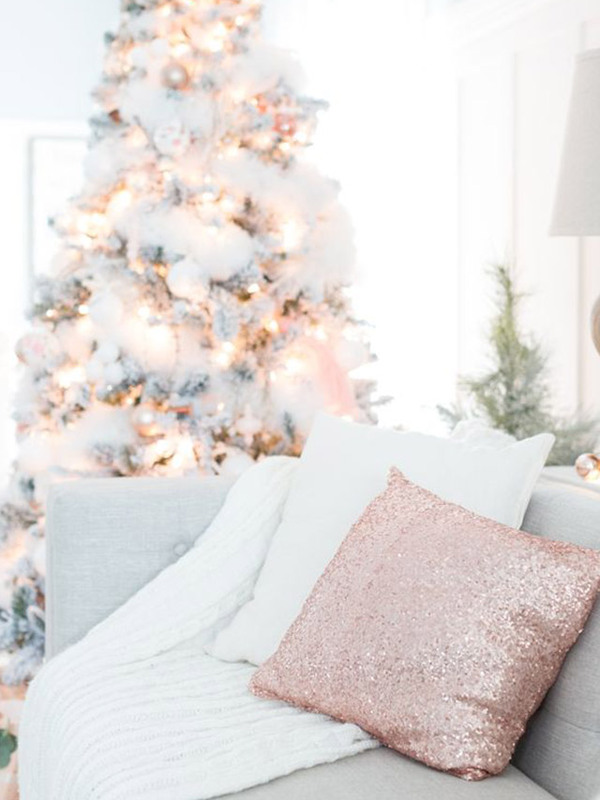 Aside from using the color as the theme for your tree and wall décor, you can also shop for pillows and throws within the same hue. It can instantly liven up a neutral sofa while adding just enough pop of color in a space without being overwhelming. Shop for similar pillows at H&M Home. Make Your Home Smell Like a Fancy Hotel for Less Than P700! We tend to overlook how scent contributes to the first impression our house makes on guests â?" or on us! This home doesn't just have picture-perfect rooms. Let it inspire you to get organized. Which One is Best for Your Home: A Diffuser or A Humidifier? Is Your House Making You Sick? These well-thought-out spaces are making us look forward to laundry day! Get inspiring design ideas and handy hints.